Newcomer Giuseppe Conte has vowed to defend the country’s interests in all quarters. If confirmed by parliament, he will face EU conflict on an upcoming budget, the future of Alitalia and Monte dei Paschi, and new asylum laws. All would be tough even if he wasn’t a total novice. 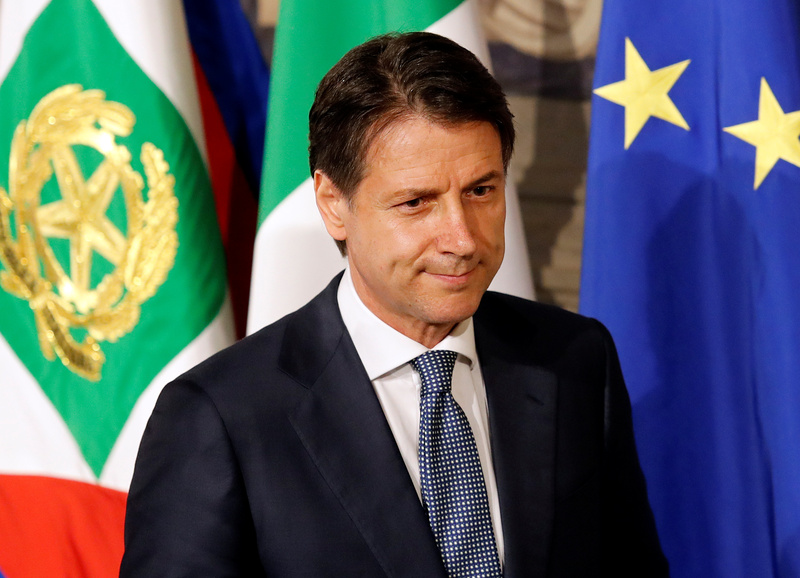 President Sergio Mattarella on May 23 gave Florence law professor Giuseppe Conte a mandate to lead Italy’s first anti-establishment government. Conte, a practising lawyer with no political or managerial experience, was put forward as the prime ministerial candidate after days of talks between the anti-establishment 5-Star Movement and the rightist League party. The two parties, which emerged as the largest political groups in parliament in an inconclusive March 4 national election, have clinched a ruling pact that promises to boost spending and curb immigration. Conte, who was plucked from obscurity by 5-Star, will take a few days to draw up the list of ministers before facing parliament for a confidence vote on the new government, most likely next week. Italy's 10-year bond yield fell 5 basis points to 2.36 percent on May 24, retreating from 14-month highs hit the day before amid political uncertainty in the country. The Italian/German 10-year bond yield gap was 7 basis points tighter at 183 basis points.